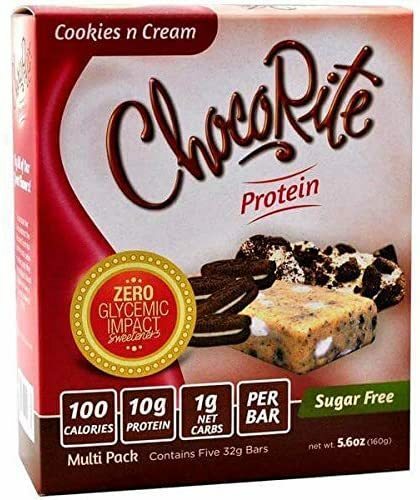 Protein blend (whey protein isolate, whey protein concentrate), isomalto-oligosaccharides (prebiotic fiber), almonds, unsweetened chocolate, erythritol, inulin, cocoa butter, soy lecithin, natural flavors, stevia, sucralose. ALLERGY ALERT: Contains milk and soy. Manufactured on equipment that also produces products containing peanuts and tree nuts. 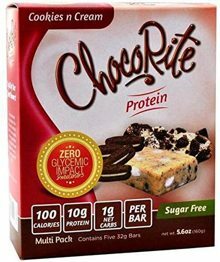 Protein blend (whey protein isolate, whey protein concentrate), isomalto-oligosaccharides (pre-biotic fiber), almonds, soy nuggets (soy protein isolate, cocoa processed with alkali, tapioca starch), soluble corn fiber, erythritol, palm kernel oil, non-fat milk, soy lecithin, natural flavors, sucralose. ALLERGY ALERT: Contains peanuts, milk and soy. Manufactured on equipment that also produces products containing tree nuts. Protein blend (whey protein isolate, whey protein concentrate), isomalto-oligosaccharides (pre-biotic fiber), almonds, soluble corn fiber, erythritol, palm kernel oil, cocoa, non-fat milk, soy lecithin, natural flavors, sucralose. Protein blend (whey protein isolate, whey protein concentrate), isomalto-oligosaccharides (prebiotic fiber), almonds, soluble corn fiber, erythritol, palm kernel oil, non-fat milk, soy lecithin, natural flavors, sucralose.